The time to use sequins only at New Years’ Eve is OVER! This season sequins will be in every outfit, from day to night time. 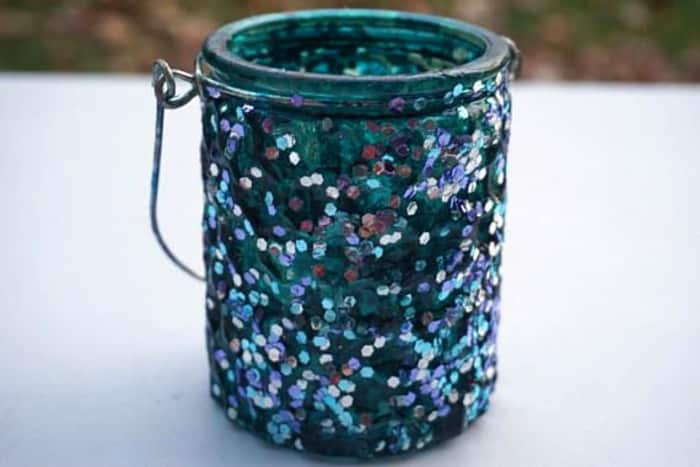 I do think that using sequins in an interior requires a bit of caution to prevent the whole décor from becoming tiring and just too much, but smaller accents are much easier to incorporate and still introduce a touch of shine and fun! 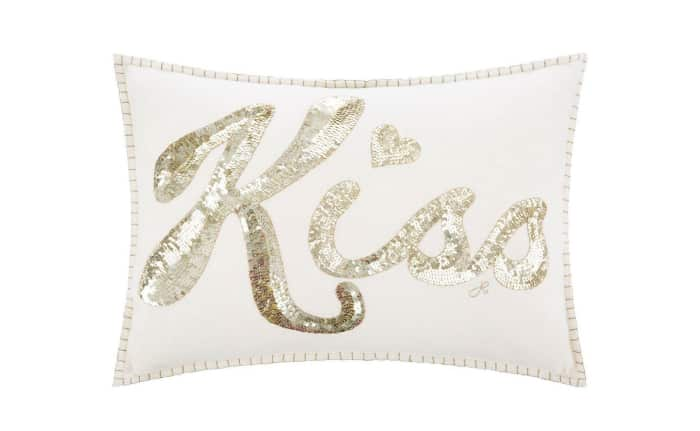 Sequin cushions are a classic. But these ones by Jan Constantine are pretty special. They have just a word written in sequins on a white wool felt background. The whole border of both the cushion and the lettering is finished with gold thread for an end result that is actually elegant. And if a more formal occasion occurs or you just need a change, you can proudly display the back side. The gold thread becomes the focal point and two tone-on-tone buttons complete the look. 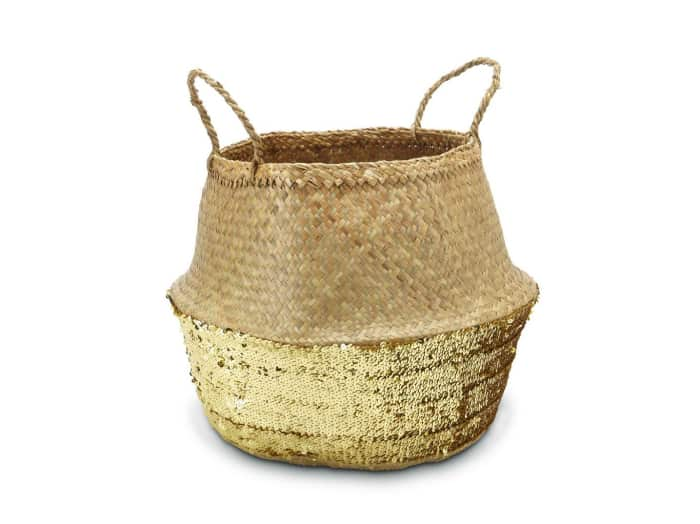 Woven baskets have been and still are a huge element of bohemian-ethnic styles. But with a sequin strip on the bottom, the effect is definitely new! And if you fold the top part inside you can get a full-sequin basket, genius! This particular one is hand woven in Vietnam and the proceeds of the whole Oxfam online shop are invested to help people out of poverty. It's always good when a beautiful product supports a noble cause, isn't it? A good way to make sequins “less invasive” is to use them where they’re partially hidden from view. 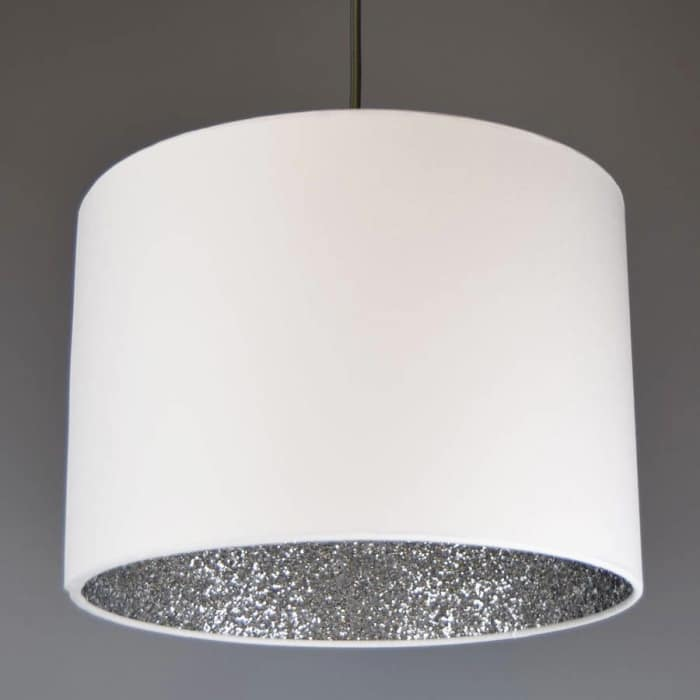 The inside of a lamp shade is a very good example that will also make for a huge light reflection! 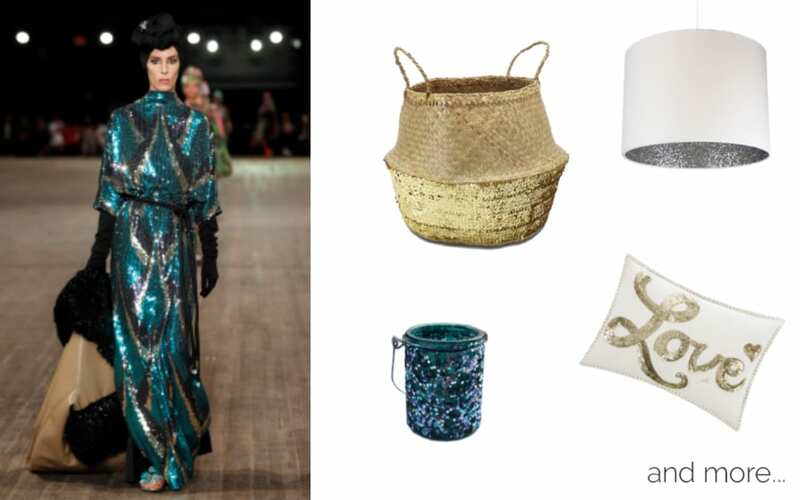 Speaking about light reflection, a candle holder is another great place to use sequins. This one is from the Etsy shop The Mermaids singing and it would be perfect to create ambiance for an outdoor evening drink! 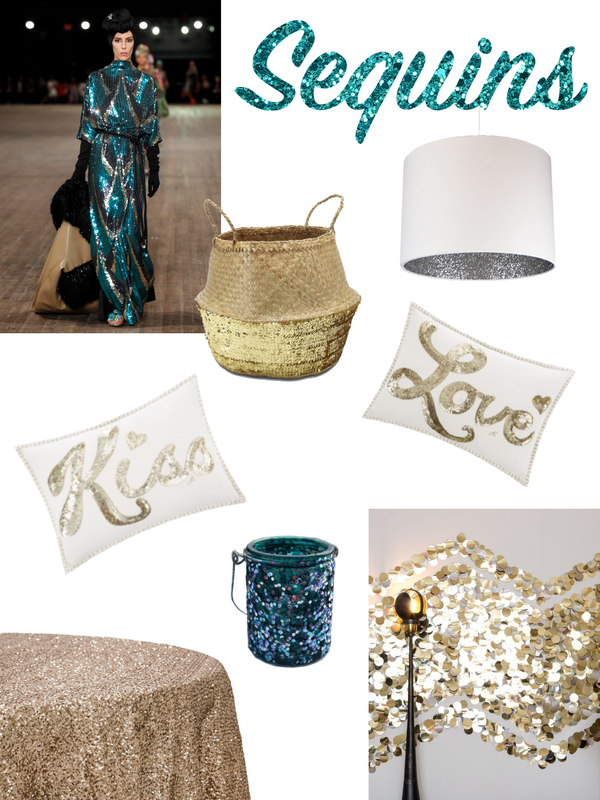 Sequins are bold by nature, and sometimes the right thing to do is just go with the boldness! 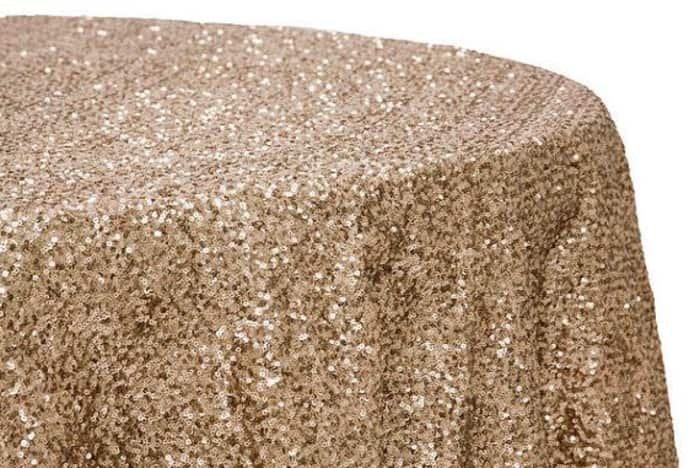 It’s certainly the case for this golden tablecloth, completely covered in sequins. 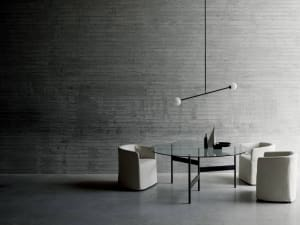 To tone it down, it can be partially covered with another plainer tablecloth, for a modern and original layered effect. 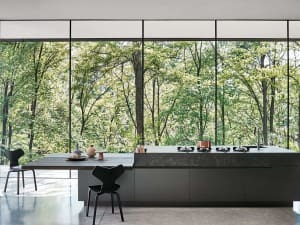 And what about this super bold wallpaper? It’s by Tracy Kendall (the same designer of the wallpaper we looked at in the article dedicated to fringes) and is made out of giant sequins. 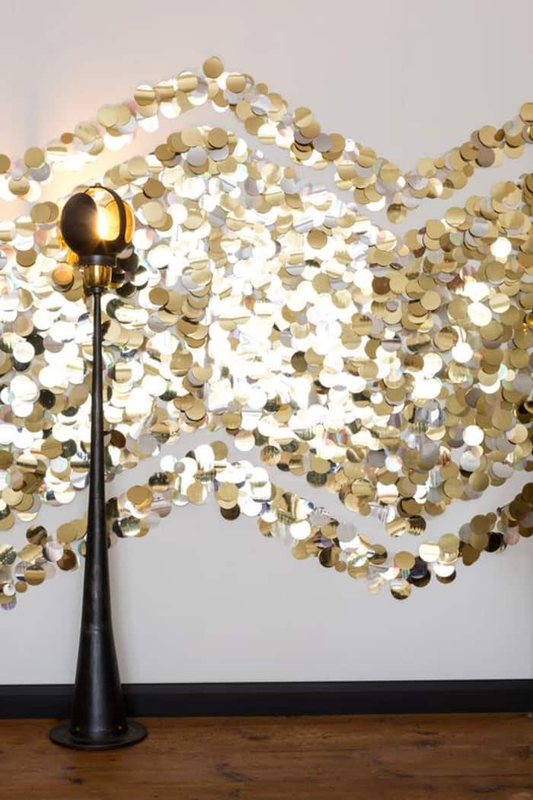 I like this application because the zigzag pattern creates a decorative feature on the wall that looks much more balanced and portable than just covering the entire wall in sequins. So...is this trend tempting you? 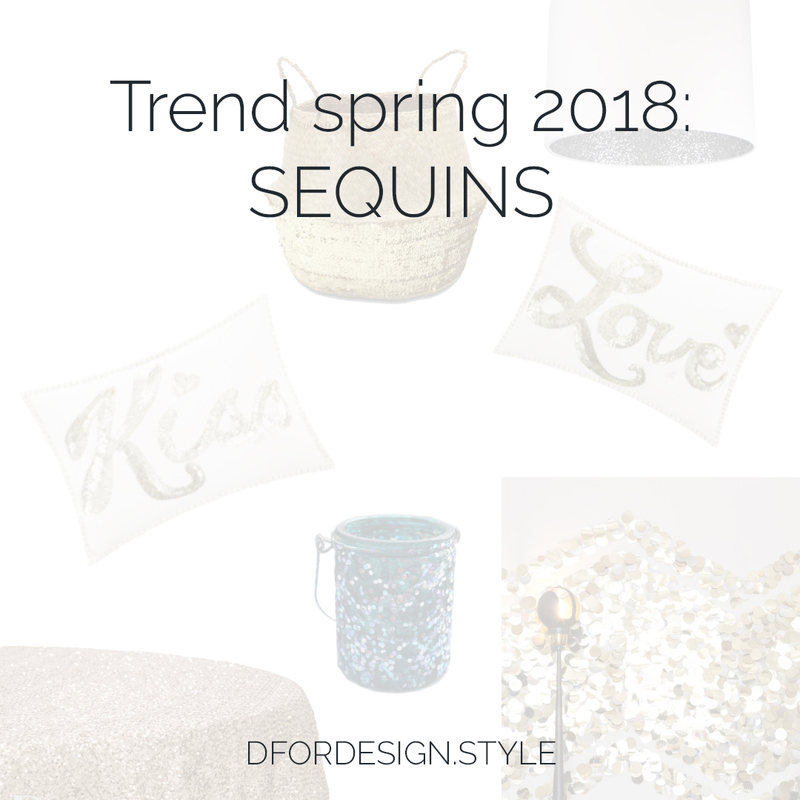 Any sequin-related plan for the coming season? 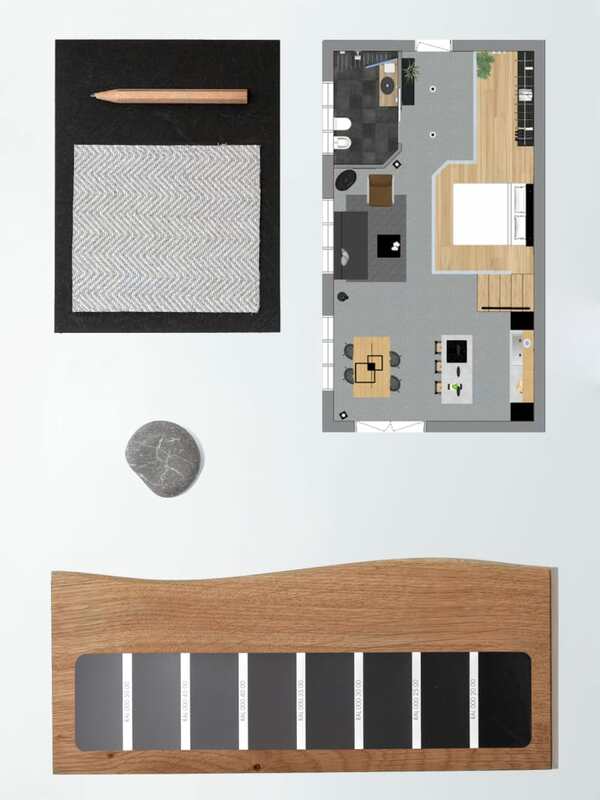 If you have some or you're otherwise thinking about a remodel, choose your e-design box, and we will design together the space that best suits your practical needs and your style tastes. 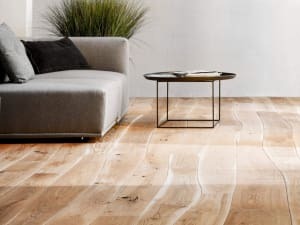 This article concludes the mini-series on spring trends borrowed from fashion and brought to interior design (see below for a general recap). I hope you’ve enjoyed it the same way I did!